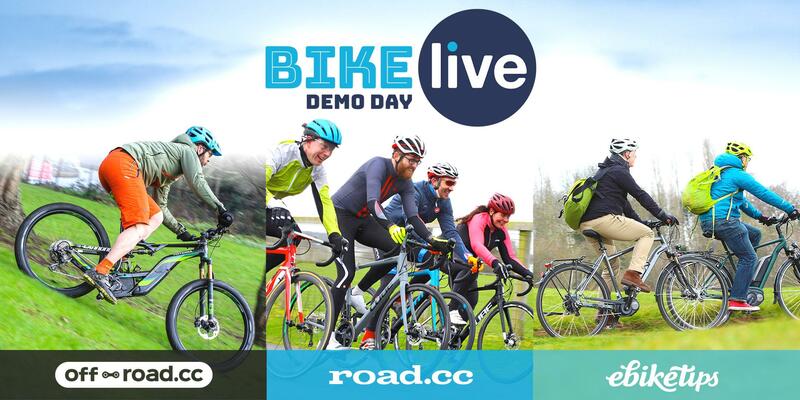 It's back - the annual BikeLive demo day at Cannock Chase. You can test ride a range of bikes from Giant, Liv, Canyon, Vitus, Haibike, Wisper, Cube and more. PLUS! Bosch eBike Systems will also be present to provide technical assistance and advice. Cannock Chase and the surrounding area has every kind of riding you could want. We'll have a 5km test circuit on quiet country roads, waymarked mountain bike trails and dirt roads for testing gravel and all-purpose bikes. Whatever you want to try, there'll be riding for you. This event is perfect if you're looking for a new bike or e-bike, or you just want to know what's out there and fancy a day of riding the best. There will be food and refreshments available to purchase in the event village and Cannock Visitor Centre and cafe is a great place for all the family to visit. Everyone who comes to BikeLive will be given a goodie bag – and amongst other things each bag will contain £6 of Clif Bar and Nuun products AND a free gift from Bosch! And you can have free entry into a Cycle Choice competition worth £100.